While at the University of Georgia’s Southwest Georgia Research & Education Center, tour attendees received a peanut entomology update from Dr. Mark Abney. Dr. Abney is a research and Extension entomologist at the University of Georgia located on the Tifton Campus. The primary focus of his research and Extension program is the development and implementation of economically and environmentally sustainable insect management strategies for pests of peanut. At the center, Dr. Abney discussed Southern Corn Rootworm, one of the most common pests peanut farmers face in the field. The Southern Corn Rootworm is a pest that harms the peanut plant underground, where it feeds on the actual peanut pod itself. 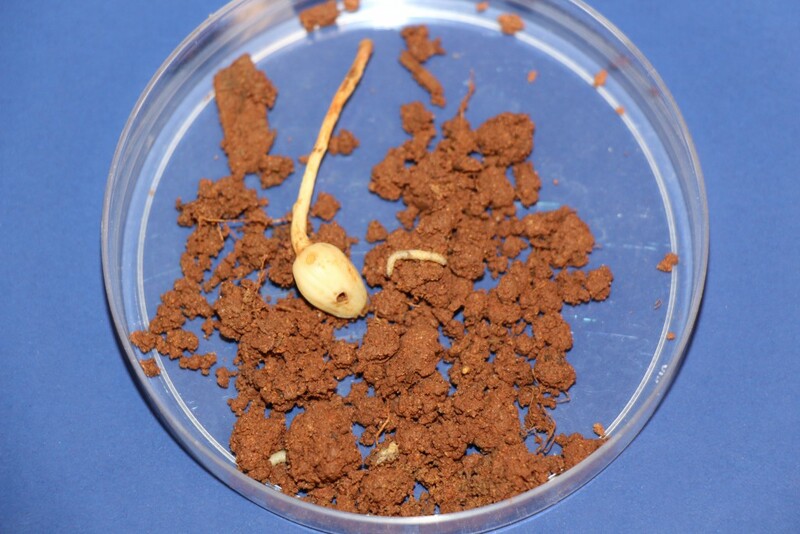 Because it is underground, it is difficult for peanut farmers to monitor and manage the pest to prevent damage and loss of the peanut plant. Currently, there are not a lot of insecticides available to manage Southern Corn Rootworm, so Dr. Abney is researching the use of alternative insecticides. He said his current research trial looks promising. Corn rootworm larva and damaged peanut pod – Photo courtesy of UGA peanut entomology. Dr. Abney says UGA’s peanut entomology department is diverse. The department is doing a lot of work pertaining to efficacy and thresholds of specific pests like thrips and others. They are also looking into the use of alternative insecticides for products that are being phased out or taken off the market and made unavailable to growers. 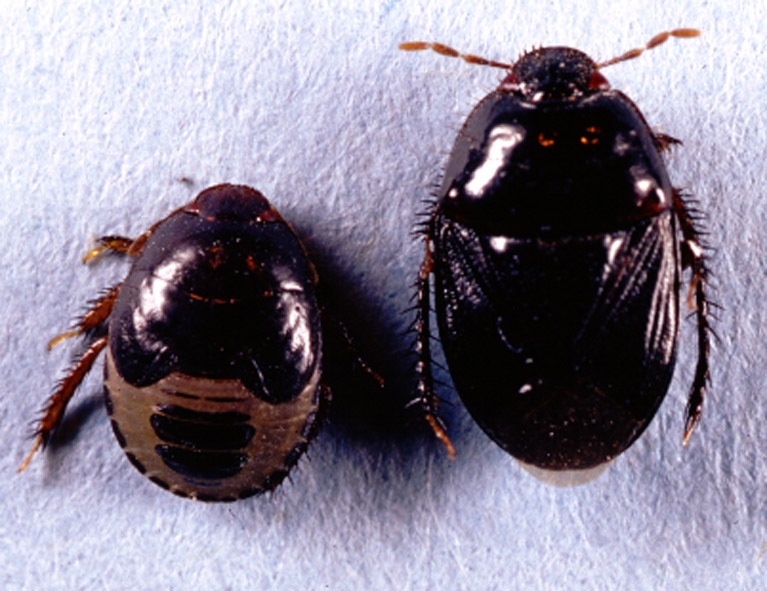 Lastly, work is being done to understand the biology of the peanut burrower bug in a way that will help growers manage the pest better and reduce damage to their peanut crop. 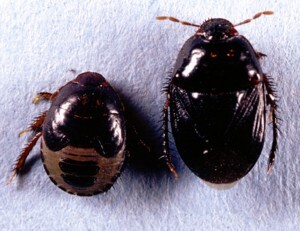 Peanut burrower bug – photo courtesy of UGA. For more information the UGA entomology department, click here. This entry was posted in 2017 Georgia Peanut Tour and tagged 2017GPT. Bookmark the permalink.